1. The drops are made of the same liquid used in the shots. While the liquid is FDA approved, taking it by mouth is an off label but very effective means of taking the liquid. 3. Drops are much more convenient as they can be done at home. Patients who get allergy shots, must go to the doctor once or twice per week for injections. 4. Drops are safer than shots because there is less risk of severe allergic reaction. 5. Millions of doses of drops have been given worldwide, with no deaths. 6. Cost is similar with allergy drops as shots because while the drops are not covered by insurance, they still are less than the cost of all the doctor visits required for shots. 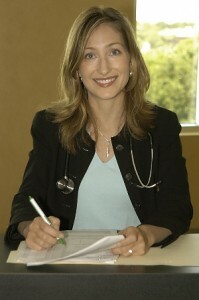 Dr. Anne Hermann, M.D. is double board certified in Internal Medicine and as a Physician Nutrition Specialist. To schedule your appointment, please call (813) 902-9559.